A series of programs highlighting 500 years of diversity and achievement by Latino Americans will be conducted in Appleton over the coming months beginning Wednesday, Dec. 2 with a film and discussion. The program is supported by a pair of grants Lawrence has received: a $3,000 grant from the American Library Association and a $7,585 grant from the Wisconsin Humanities Council with funds from the National Endowment for the Humanities. Opening the series will be a screening of two segments of the award-winning PBS documentary series “Latino Americans” at the Appleton Public Library. The first segment, “Foreigners in Their Own Land (1565-1880)” will be shown Dec. 2 at 7 p.m. 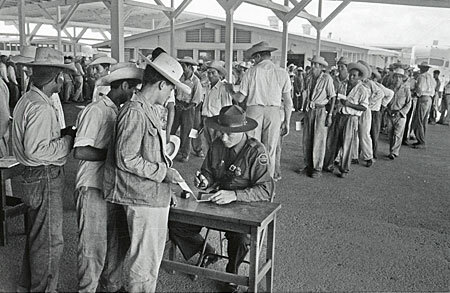 The second segment screening, “Peril and Promise (1980-2000),” will be held Jan. 13 at 7 p.m. Both are free and open to the public. Lawrence faculty members Jake Frederick, associate professor of history, and Gustavo Fares, professor of Spanish, will each lead an audience-based discussion following the respective film screenings. The 2013 six-hour series, chronicles 500 years of Latinos in the United States with a focus on the struggles and triumphs of the film’s characters. It features interviews with nearly 100 Latinos, among them 2012 Presidential Medal of Freedom recipient Dolores Huerta, co-founder with César Chávez of the National Farm Workers Association, author and commentator Linda Chávez, who became the highest-ranking woman in President Reagan’s administration, and award-winning actress and singer Rita Moreno. The Appleton Public Library also will host an exhibition of works by Milwaukee-based Mexican artist, author and illustrator Francisco X. Mora Jan. 4-Feb. 29. Mora personally will visit the library Jan. 30 to lead a children’s-focused program. “Libraries are all about making connections and we’re delighted to be collaborating with the Appleton Public Library as well as our own academic departments to extend our connections within the community,” said Peter Gilbert, director of Lawrence’s Mudd Library. 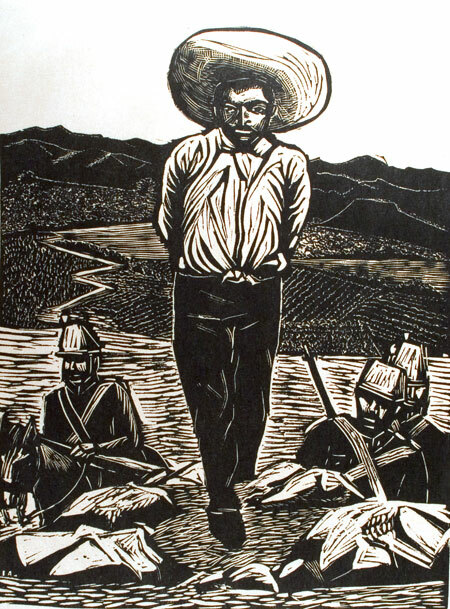 An art exhibition — “Selections from the Estampas de la Revolución Mexicana Portfolio” — showcasing the portfolio of 16 artists from the Taller de Gráfica Popular (“The People’s Graphic Workshop”) of Mexico City from Lawrence’s permanent collection will be held Feb. 11-March 11, 2016 in the Mudd Gallery of Lawrence’s Seeley G. Mudd Library. Founded in 1937 to advance revolutionary social causes, the TGP is an artists’ print collective. Wriston Art Center Director and Curator Beth Zinsli will deliver a gallery talk on the history and iconography of the Estampas portfolio at 4 p.m. the day the exhibition opens. On April 11, Lawrence Conservatory of Music faculty members Jose Encarnacion, saxophone, Matthew Michelic, viola, and Anthony Padilla, piano, along with special guests, will present the concert “A Celebration of Hispanic and Latino-American Music” at 7 p.m. at Riverview Gardens in Appleton. The grants will also support Lawrence’s fifth annual Latin American and Spanish Film Festival April 20-23, 2016. The festival highlights award-winning contemporary cinema from Spain, Mexico and South America.